As the horrible devastation in Texas mounts, and the media hype around Irma grows, I'm not too worried about us, or our house, as we already have emergency plans in place. However, I do begin to wonder, how can I protect our Porsches? I find myself pondering this question again and again. Unlike Bill Musselman and his floating Porsche above, I'm simply not that prepared or resourceful to do something spontaneous. I need a plan. Chances are you do too. As we live in New England, we tuck away our Porsches (except for the Cayenne) in storage for six long months in order to avoid the salt and sand of harsh new England winters. As a result, we are well informed on the proper Porsche winter storage procedures and have that process down pat. 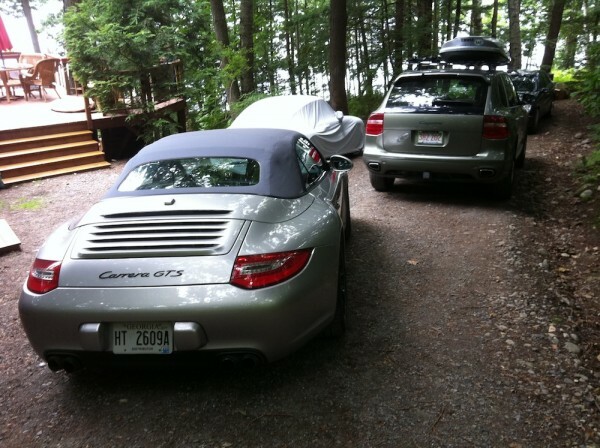 However, the rest of the time, we always have at least one Porsche (usually more) in the driveway at our summer home in Maine and no garage to store them in. Up until now this hasn't been a problem. Sure, we get thunderstorms and even the occasional hail storm, but we're used to these and have covers and other options to protect our Porsche(s) from your run of the mill weather. Now a hurricane, that's a different story. Our home and driveway are surrounded by trees so the possibility for serious damage is very real given the strong winds that accompany a hurricane. What to do? 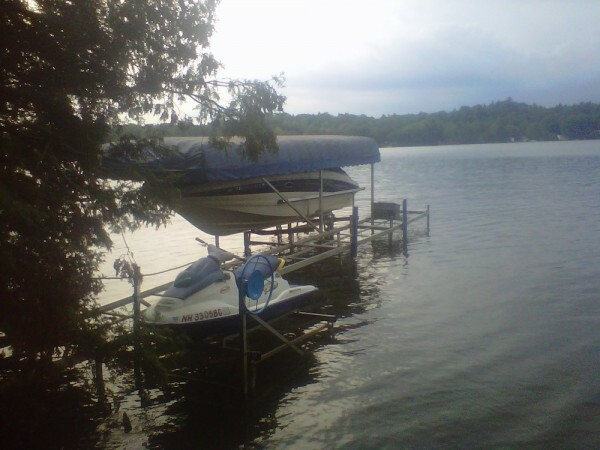 Securing our water toys is easy, we simply put the boat and Sea-Doo on their lifts and tie off the jet-ski for a little extra protection (this way if it floats off the lift it won't drift away). We can't tie off the Porsches (can we? ), a lift won't help, and even if we had a garage we need a hurricane proof door to be really secure (those of you who live in Florida and other hurricane prone states now all about this). We need a bunker of sorts. The spot where we store a few cars in the winter is just down the road from us. Not only is it a safe and secure storage space, it's built in a stone quarry that is both protected from the wind and completely devoid of trees. However, it's not staffed and this being Maine, you can occasionally run into trouble tracking someone down to gain access. Fortunately, after a few calls we get in touch with the owner and explain our plight. He graciously interrupts his own day and offers to meet us to open the door and get our babies out of harm's way? 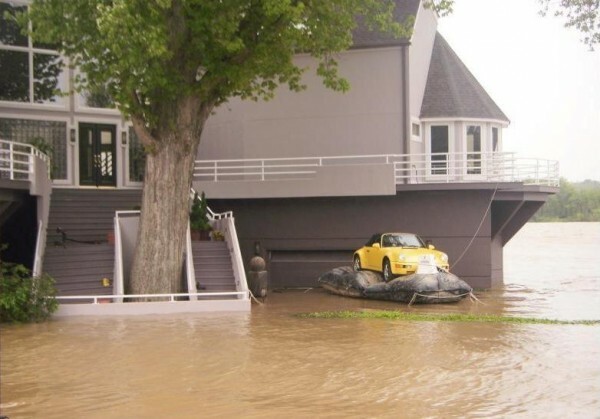 I quickly realized that while we have emergency plans in place for our personal safety and our home, we never really planned (or even gave thought) to protecting our Porsches in the event of extreme weather (as it's simply never been a problem before). The closest we came was earlier this summer when an unexpected hail storm hit us on what was otherwise a warm, sunny day. Fortunately, we received a delivery that day and were able to use the packaging as make shift shields. See the video below. Now, we have an even better car cover and keep things under the house to use as shields should this happen again. Do you have a plan to protect your Porsche? Find a place to safely store your Porsche (other than your garage) in the event your garage (or lack there of) just won't cut it? If you live in an area prone to floods, find a spot on higher ground. If you live in an area prone to hurricanes, invest in a bracing or a specialized door to wind-proof your garage. Take a few minutes to review your insurance coverage and make sure your Porsche is valued properly (replacement value insurance may be your best bet) and look to see what's included/excluded from your policy. Depending on your particular policy you may need special riders or coverage for damage as a result of storm/flood. Have fresh and clear pictures of your Porsche(s) showing their condition and options. Lastly, remember it's only a car, your own safety comes first and like the picture below shows, there are some things you just can't plan for. Here in FL, Overhead Door Co., a national company, has a product called Wind Posts. It’s installed inside garage, bracing the garage door. For max protection most people here have 125mph rated garage doors. 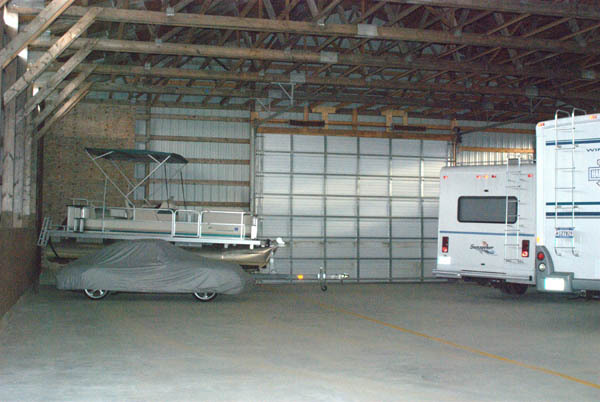 Also, be sure that garage door track and other components are properly installed to structure. I am NOT in any way affiliated with Overhead Door Co.
Our refuge in Houston will be one of several multi-story parking structures in the event of a hurricane and flooding. I will park my 911 on the second level (wind speed increases as you go up) in a sheltered area in the center and near a wall, like the entrance to the mall. Some of these structures are within walking distance of my house, but we would keep the SUV (Cayenne) at the house. The most severe flooding we had was during a historical tropical storm (Alicia? Allison?) several years ago. Our street flooded but the water never entered the garage, which is about two feet above the street level. Given that experience, it would take an extreme hurricane prediction to cause me to move the car. Another option would be to put the car up on blocks in the garage. Since Houston is so flat, it takes a lot of water to raise the level a foot or so above the point where it starts to enter the garage. This would have helped the green Porsche in the standing water. Anyway, I have given this some thought in advance. Just in case – Need we mention replacement-value insurance and lots of documentation and photos? ……D A S ….M A C H I N E!!!!! !